The device is powered by quad-core, 64-bit Qualcomm Snapdragon 410 processor, supported by 2 GB of RAM. 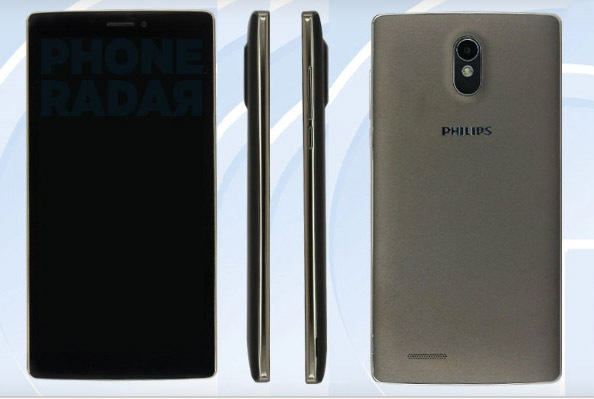 A new, 6.5-inch phablet from Philips, the Swift S616L, has been listed on a Chinese retailer’s webpage. Unfortunately, the huge display only offers 720p resolution, which translates to the mediocre pixel density of just 225 ppi. Philips Swift S616L is powered by quad-core, 64-bit Qualcomm Snapdragon 410 processor supported by 2 GB of RAM. The 16 GB of internal storage (partly taken by the OS) can be expanded by up to 32 GB via micro-SD card reader. The rear camera uses a 13 MP sensor as well as a LED flash, while the front-facing one allows shooting 5 MP selfies. The 3000 mAh battery is removable. 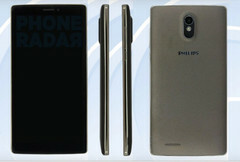 The handset supports dual-SIM standby and 4G LTE. It’s 8.9 mm thick and weighs 188 grams. Philips Swift S616” runs Android 5.1 Lollipop out of the box. It has been priced at 1399 Yuan, which is approximately $220. Naturally, prices may change when the device is officially announced.